Last week I had the opportunity of leading 30+ high school students to live at the Urban Rescue Mission on Skid Row for 3 days. We helped serve meals, paint walls, play with kids, pray for people, and much more. To say the least, it was life changing. The trip reminded me of how important it is for apologists (and really all Christians) to be involved in serving people who are less fortunate. Below is an essay on the intersection of apologetics and social justice from my book A New Kind of Apologist. It is written by my friends Ken Wytsma and Rick Gerhardt. This blog is longer than my typical post, but the content is absolutely vital for believers today. I hope you will take the time to digest it and share it with others. We get apologetics. We understand the need for Christians to be able to give a reasoned formulation and winsome presentation of a rational defense of the Christian world-and-life-view. Whatever ministries we have helped to birth or nurture have been grounded in our conviction that Christianity provides a uniquely accurate understanding of the real world we all live in. We have graduate degrees in philosophy and apologetics. We have devoured the arguments of C.S. Lewis and of older apologists like Augustine and Blaise Pascal, who describe the realities of human existence with stunning accuracy. We have conducted “skeptics’ balls,” opportunities for anyone—seekers, believers with doubts or questions, true skeptics—to interact with the claims of the Bible in raw, open honesty. Eventually, Christ called us to plant a church in Bend, Oregon, in one of the most unchurched regions of the country. From its inception, Antioch has had an apologetics component. At any given time, we are offering a skeptics’ Sunday school series, a learning group centered on apologetics, or a full-semester apologetics course at Kilns College, the school we founded during Antioch’s first year of existence. The skeptics’ balls have since morphed into Redux, a question-and-answer service that we hold most Sundays after the regular worship service. But a funny thing happened on our way to an apologetically grounded local church and college. We had hosted two successful citywide apologetic conferences through Kilns College. We brought in leading apologists from around the country, and together we offered a powerful defense of the reliability of the Gospel accounts of Jesus’s life, the historicity of the resurrection, the reconciliation of science and the Bible, and Christianity’s uniqueness in explaining reality and human experience. But before we could begin planning a third such conference, another conviction took root. We were defending important aspects and truth claims central to historical Christianity, but the Lord urged us that contemporary evangelical Christianity was missing one central aspect for a true and authentic Christian witness. One of the tasks of the Christian apologist is to accurately articulate what it is Christians believe, what the Bible teaches, and what God has revealed to us of himself. And the Lord was convicting us that our tribe had been failing to articulate—for at least most of the last hundred years—one of his essential, inseparable attributes: his concern for justice. In lieu of yet another conference offering a general apologetic for Christianity, the Lord called us to gather a wide variety of Christian scholars, teachers, pastors and leaders, NGOs, field workers, and lay people from every walk of life for a conversation about the theology and practice of social justice. We partnered with World Relief to host the Justice Conference in Bend, Oregon, in February 2011, and we were awed and humbled by the response. In 2012, the Lord greatly multiplied the number of attendees and the overall impact as we moved the conference to Portland. Since then, there have been Justice Conferences in Philadelphia, Los Angeles, and Hong Kong. As we write this chapter, the run-ups to Chicago 2015, Melbourne, Australia, and a second Hong Kong Justice Conference are under way. Along the way, we have met thousands of passionate followers of Christ, and many unbelievers who, while extending the practical compassion of Christ, had not yet acknowledged him as their redeemer. Many Christians we met were already involved in efforts to relieve poverty and suffering—the results of injustices—across the world. Others knew they were called to a life of selfless service to others, but found no encouragement from their Christian communities to follow that call to the brothels of Cambodia, the villages of northern Uganda, or the complex web of social injustices in the city centers of the United States. Indeed, many experienced a disconnect between the discipleship the Lord was calling them to and an articulation of Christianity that had everything to do with saving souls and nothing to do with redeeming the whole person, much less the rest of creation. For the Christians involved, the overwhelming success of the Justice Conference is quite simply because the form of Christianity that acknowledges that God in Christ is establishing his justice “on earth as it is in heaven” is a more holistic, truer form of Christianity than the version that, in much of evangelicalism, had come to ignore this deeply biblical truth. Justice in the social realm is a thread running through all of Scripture. Justice is at the very heart of God’s character and at the core of what he desires from his people.5 According to the psalmist, “The Lord is known by his acts of justice” and “a scepter of justice will be the scepter of [his] kingdom.” The Creator executes justice for the oppressed, gives food to the hungry, sets the prisoner free, and watches over the immigrant, the widow, and the orphan. The Lord says, “Justice, and only justice, you shall pursue, that you may live and possess the land,” and he ties the future of his people to their treatment of the oppressed, the immigrant, the orphan, the widow. What he wants from mankind is that we do justice, love mercy, and walk humbly with him. When God’s people fail to act justly, they are disciplined or separated from him. In commending King Josiah, God equates knowledge of himself with defending the cause of the poor. Jesus’s own mission statement incorporates healing and social justice, and his followers will be recognized by their feeding the hungry, clothing the poor, welcoming the immigrant, and visiting the sick and the prisoner. Whereas we evangelicals have sometimes made the good news all about an other-worldly heaven, Jesus’s own gospel was of the in-breaking of God’s kingdom on earth. Paul’s understanding was that Christ’s redeeming work applied to all of this creation,18 and that his followers—those saved by grace—would be ambassadors of reconciliation,19 doing the works of justice to which he calls them. Most of us would agree that the best apologetic is a life well lived. Our character and relationships with others have a greater capacity for attracting those around us to the Christian message than do our arguments or rhetoric. We also know that many intellectual or academic objections to Christianity usually mask deeper reasons for rejecting Christ. You may have experienced this in your conversations with friends. One such common reason to reject Christianity is the hypocrisy of his followers—failure to live according to the teachings of Jesus and to the worldview we espouse. This is reflected in many of our personal interactions, and it’s also the conclusion of a 2007 poll designed to identify the most common perceptions of Christianity among young adults—in which 85 percent viewed Christians as being hypocritical. Our experiences throughout the United States and around the world have led us to some clear conclusions about the generation now growing up and the reasons they are suspicious of Christianity and the church. Let’s look at three of these, because they have important implications for doing effective apologetics today. First, young people are globally aware to a degree unimaginable just a few years ago. The Internet and social media have provided the tools for keeping on top of current events around the world. These include not just the high profile and political events and issues that would always have made headlines. They include the more hidden goings-on unearthed by the isolated fieldworker, the personal friend on vacation, or the unknown blogger. Second, what provides purpose and meaning for many is a variety of ongoing critical problems in the way people are being treated by others. Slavery and human trafficking are occurring at a greater rate than at any time in human history, and young Westerners know this. Poverty, malnutrition, lack of clean drinking water, abuse and exploitation of women and children, denial of property rights, government corruption that leads to squalor and destitution—all of these are occurring in our messy fallen world and being made increasingly visible in the flat world of modern technology. Racism is alive and well, not just in twentieth-century Germany or South Africa, but today in our own cities and towns. Issues that rightly fall into the category of social justice—justice in the realm of social relationships—are at the center of the individual and corporate consciousness of young people today. The Justice Conference has always been organized and hosted by passionately and overtly Christian people and organizations. Nonetheless, many who are not (or were not) followers of Christ have been drawn to that conversation and have attended those conferences. The reason is simple: all humans are made in the image of the one true God, who cares about justice. All people share with their Creator (at least to some degree) a sense of right and wrong, fairness and unfairness, justice and injustice. Therefore, given the knowledge of and ability to expose social injustices with global media, it is not at all surprising that many people today find their purpose in combatting what the God of creation detests. Third, for most people, the truth of any worldview is logically linked to its practical applications. If Christianity is—as its apologists claim—the accurate understanding of reality, then it ought to result in practices that offer hope and solutions to the obvious brokenness of our world. If we want to remove the obstacles preventing people from following the One who cared about “the least of these” and commanded his disciples to do the same, we ought to be aligning our lives with that command. On the negative side, inattention to social injustices and apathy toward God’s creation represent the sort of hypocrisy that prevents our defense of Christian truth from being heard. Everything we are arguing on behalf of social justice could be urged on behalf of caring for the creation as well. As those who claim an intimate personal relationship with the Creator, we Christians—of all people—ought to respect, enjoy, and care for creation, to be concerned about and leading the conversation regarding environmental problems and potential solutions. Christ created all things, sustains all things, and died to reconcile and redeem all things, and works through his followers to actualize this ministry of reconciliation. A new generation of Christian apologists will be able to relate to the newer generations in the language they speak and about the issues that motivate them. That means recognizing and living according to the truth that God cares deeply—and commands his people to care deeply—about justice in the social realm, about the flourishing (shalom) of whole people, communities, and nations, and all of his creation. We have witnessed this in the lives of Christians pursuing justice all over the world, but let us share a single example, that of the Association for a More Just Society (AJS) in Honduras. In some of the most dangerous neighborhoods on earth, AJS workers minister to and fight for justice on behalf of victims of violence and corruption. As they do so, they frequently watch those victims discover (or rediscover) a vibrant Christian faith. As they work tirelessly to reform the systems that perpetrate injustice, AJS team members present to the UN representatives, government officials, and foreign ambassadors with whom they interact a truer, more Christlike Christianity than these folks have ever seen. And many of the young people who come to participate in such justice work—whose prior church experience has offered little to attract them—find a faith worthy of the dedication of their lives. Though the founders and workers of AJS are merely living out the call of Christ on their lives, the result is that they are frequently asked for “the reason for the hope” that is in them. For the younger generations (and increasingly for people of all ages), our best articulation of the cosmological argument for the existence of the Creator will not receive a hearing if our actions demonstrate a disregard for the creation itself. Our most robust defense of the reliability of the Gospel accounts of Jesus’s life and teaching will fall on deaf ears if we ignore his commands to plead the cause of the poor, the orphan, the widow, the immigrant, and the prisoner. And our best theodicy—our most satisfactory defense of God’s goodness and power despite the pain and suffering in the world—will be seen as empty words if it doesn’t cause us to join with him in alleviating some of that pain and redressing the injustices from which that suffering results. We believe and pray that the Lord is raising up a new generation of apologists whose rhetorical defense of Christian truth will be accompanied by just and compassionate living, and that as a result, a broken world might see our good works and glorify our Father who is in heaven. 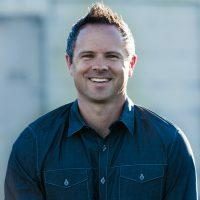 Sean McDowell, Ph.D. is a professor of Christian Apologetics at Biola University, best-selling author, an popular speaker, part-time high school teacher, and the Resident Scholar for Summit Ministries, California. Follow him on Twitter: @sean_mcdowell and his blog: seanmcdowell.org.